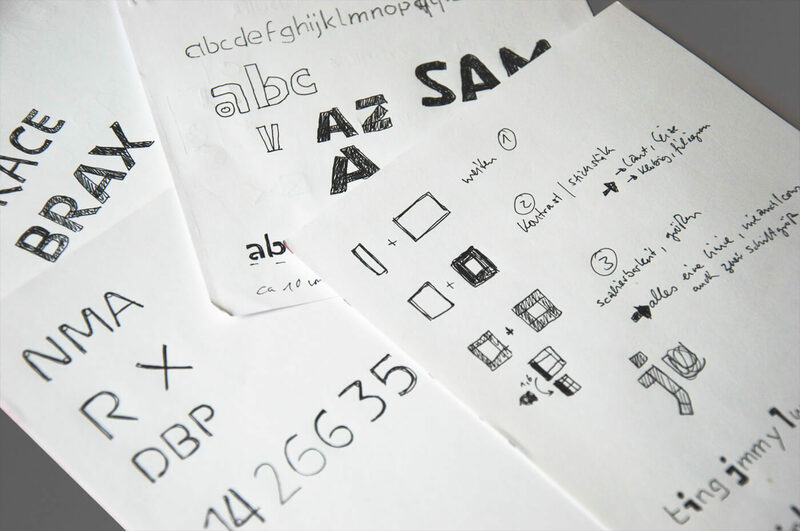 As work on the custom font began before a concrete corporate design had been developed, we had to define which brand elements were key to the concept of the typeface. 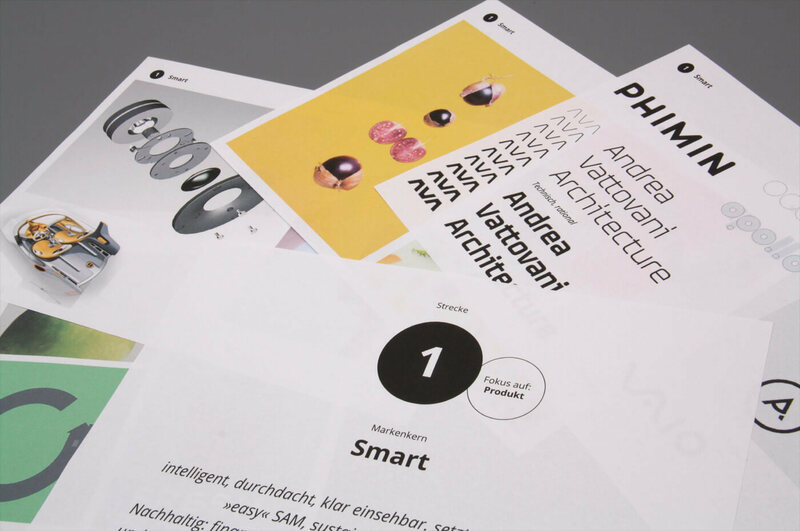 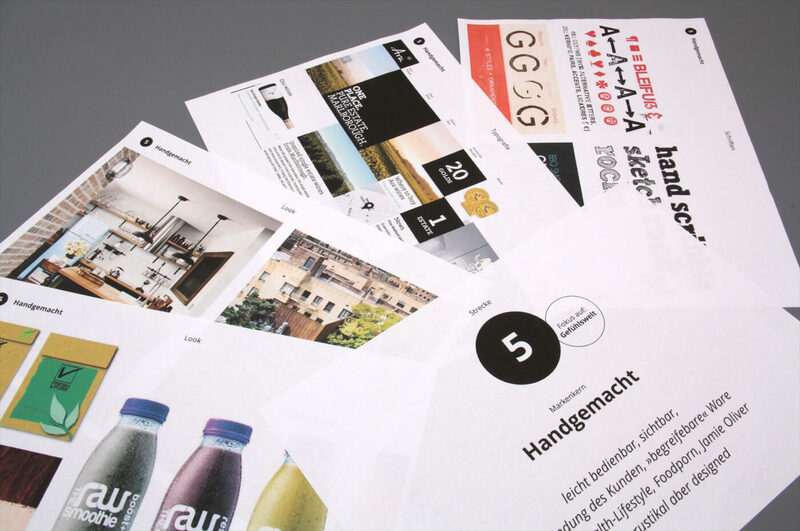 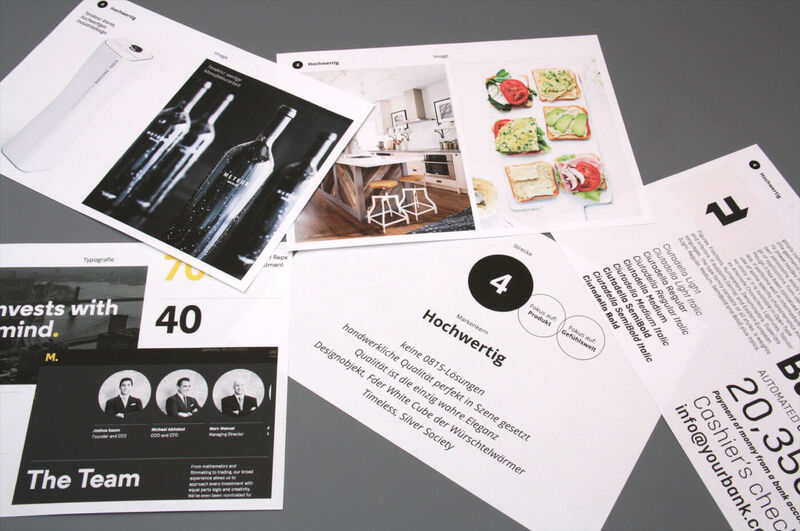 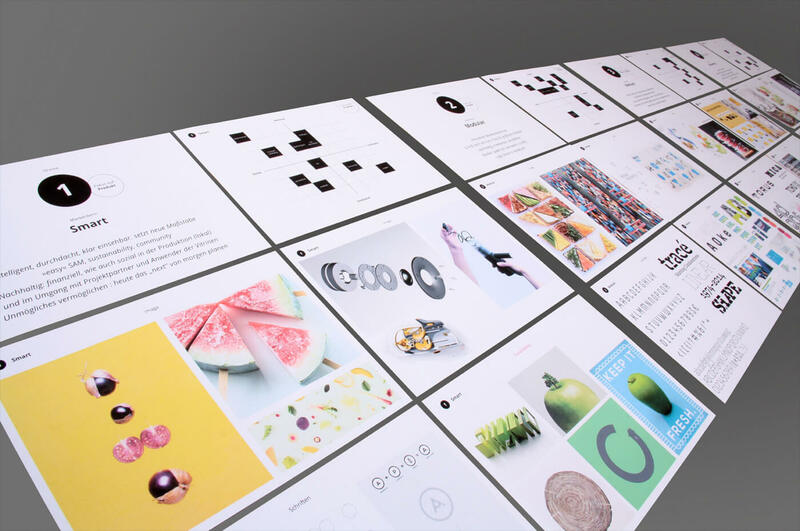 By focusing on attributes such as smart, modular, high-quality and future oriented, our first test-fonts explored the values of the brand in different ways. 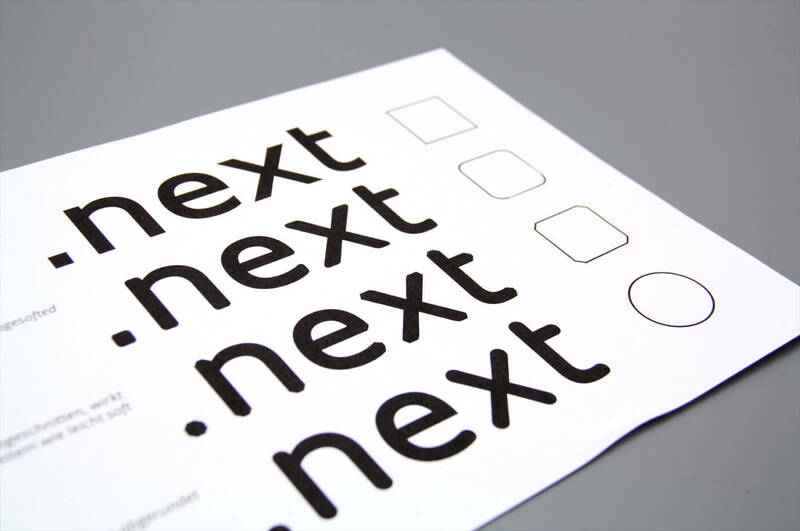 The result of that process is a concise typeface of two weights that pair light and bold, condensed and extended to reflect key characteristics of the brand. 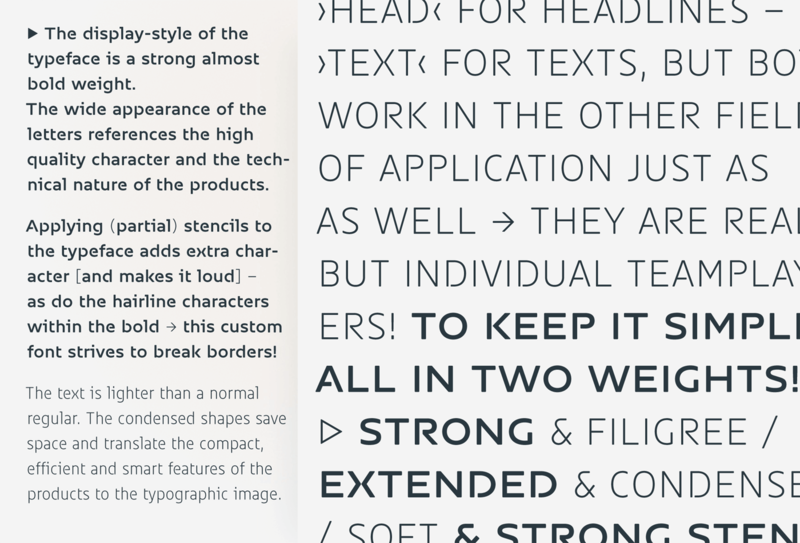 Whether in small text, or in headers, both styles are designed to work in combination. 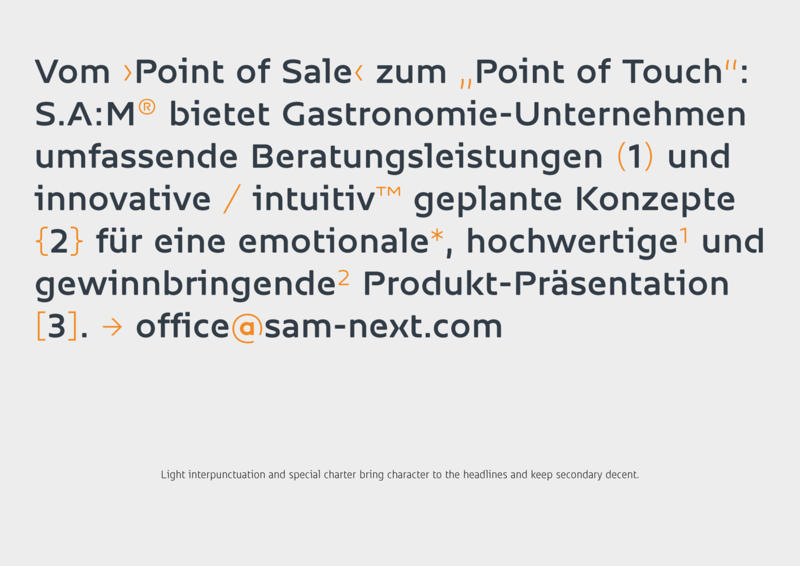 The bold and spacious display style of the typeface references the quality and the technical nature of the products, whereas the text style is light and narrow: saving space and referencing the compact, efficient and smart features of the products. 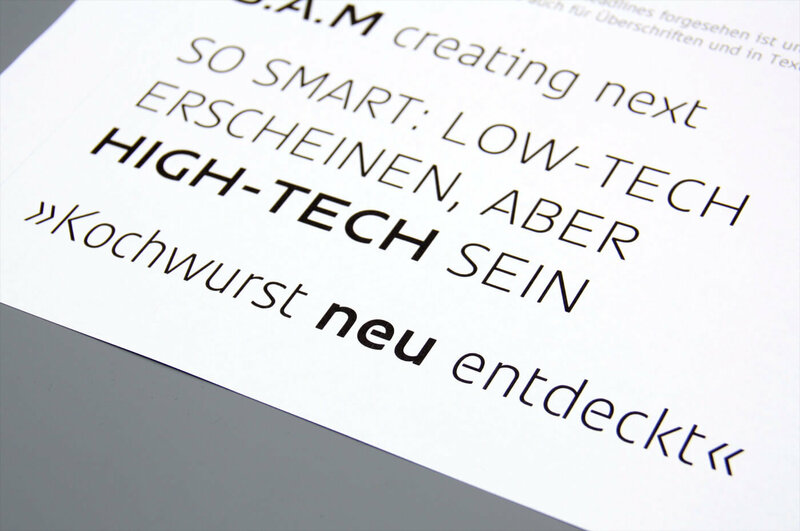 If a client is revolutionising point of sale in the snack industry with an innovative sausage boutique, the corporate font simply can’t be Helvetica! 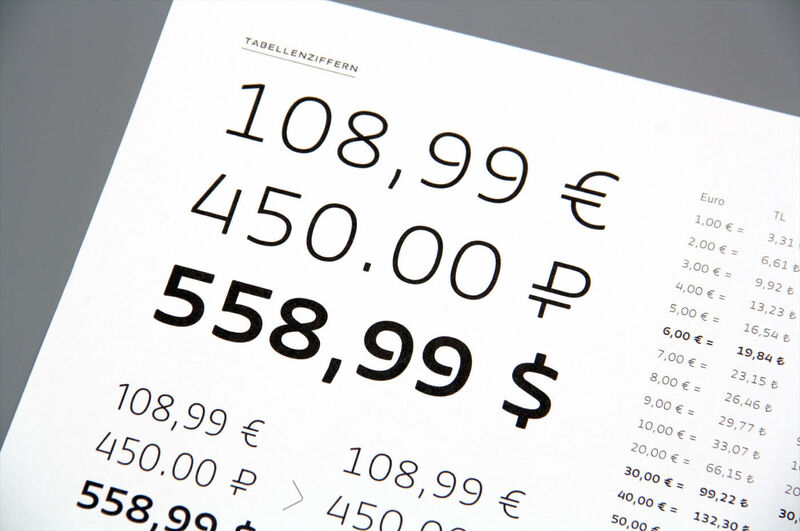 In display sizes, the partial stencils applied to some letters become visible, adding character and recognition value. 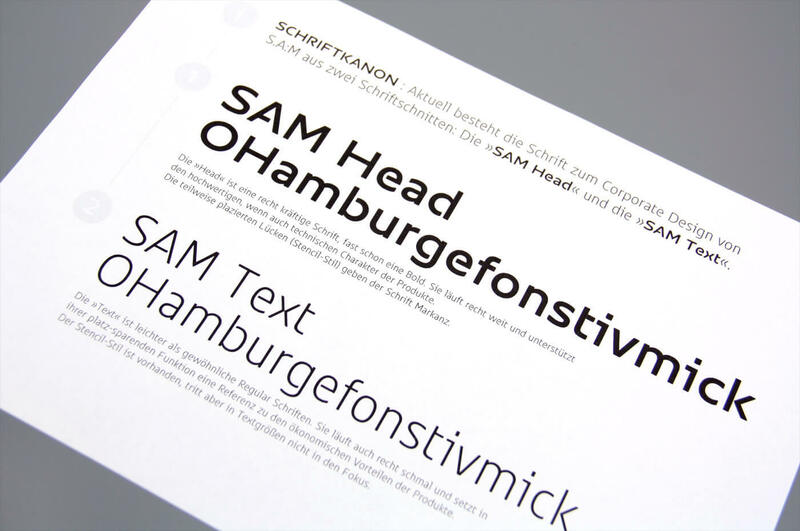 In all sizes, the hairline punctuation of the bold breaks with convention to provide an individuality that reflects S.A:M®’s innovative thinking. 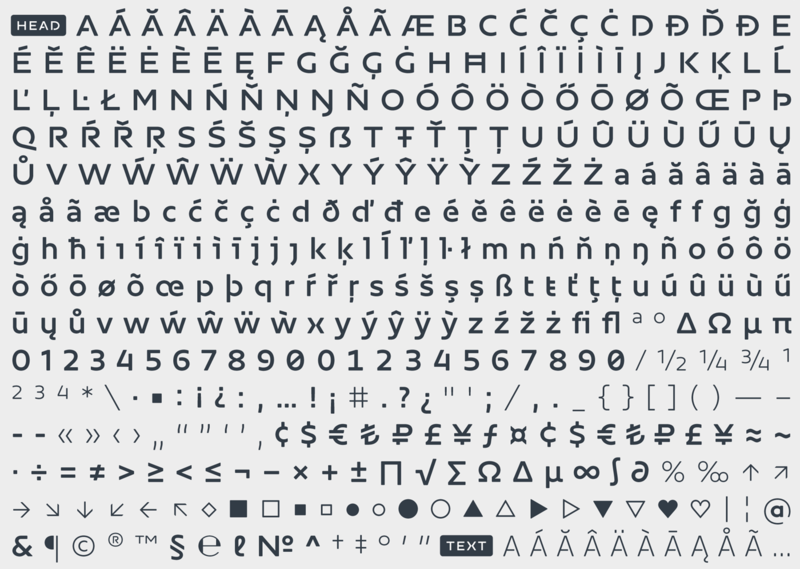 The fonts were optimised for screen and contain useful icons, superscript figures, plus fractions and tabular figures that work across all weights. 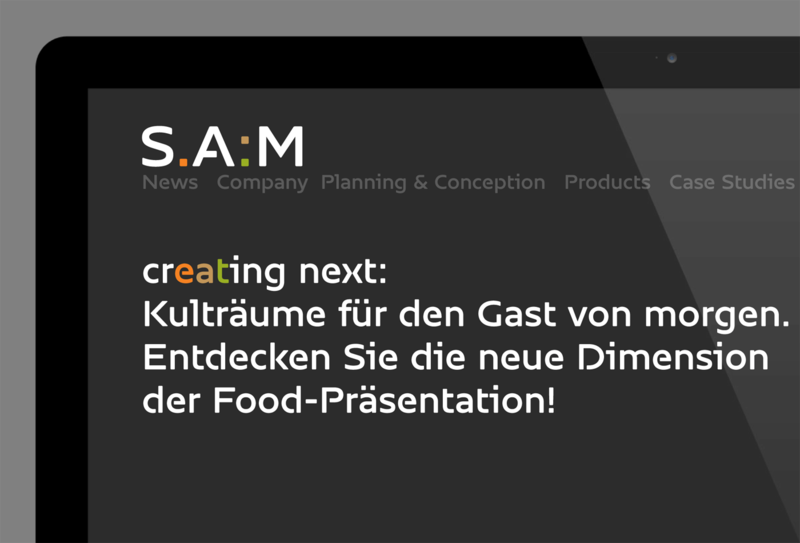 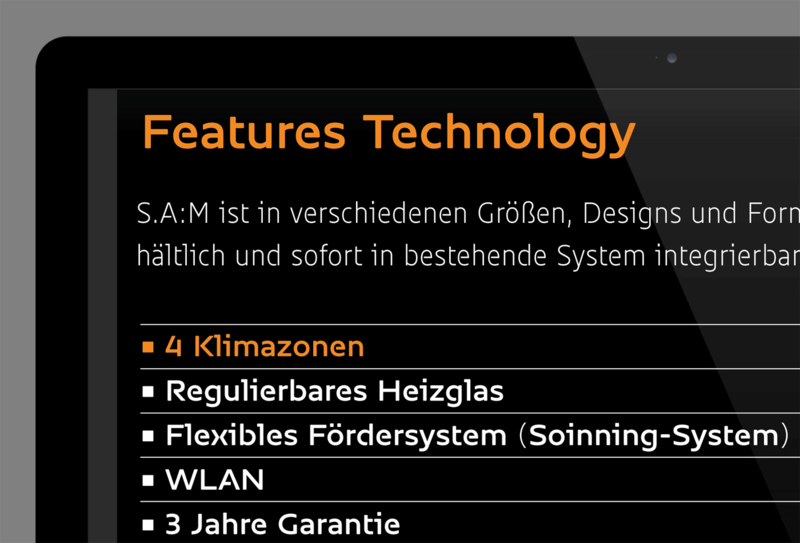 The wide language support ensures that SAM Text and Sam Head are ready for European markets. 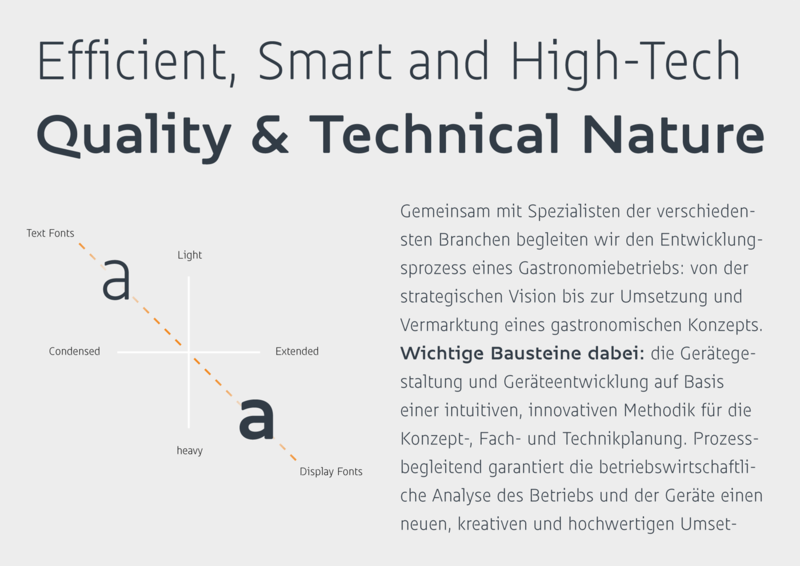 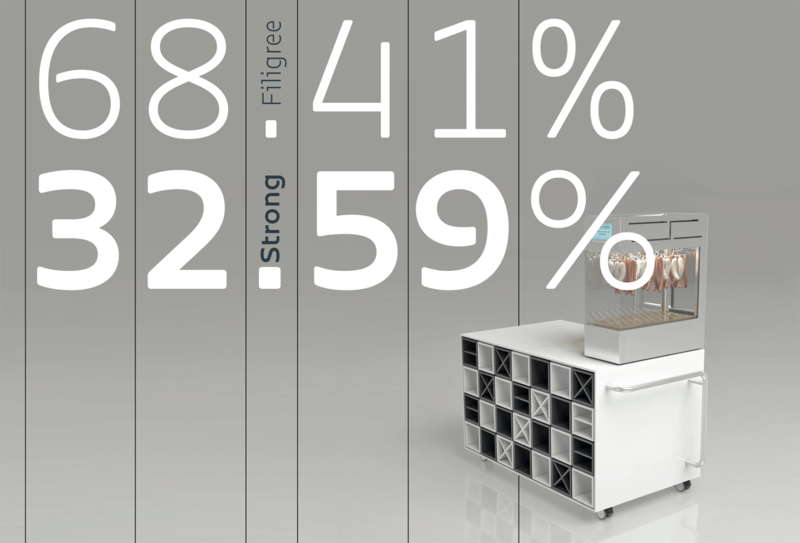 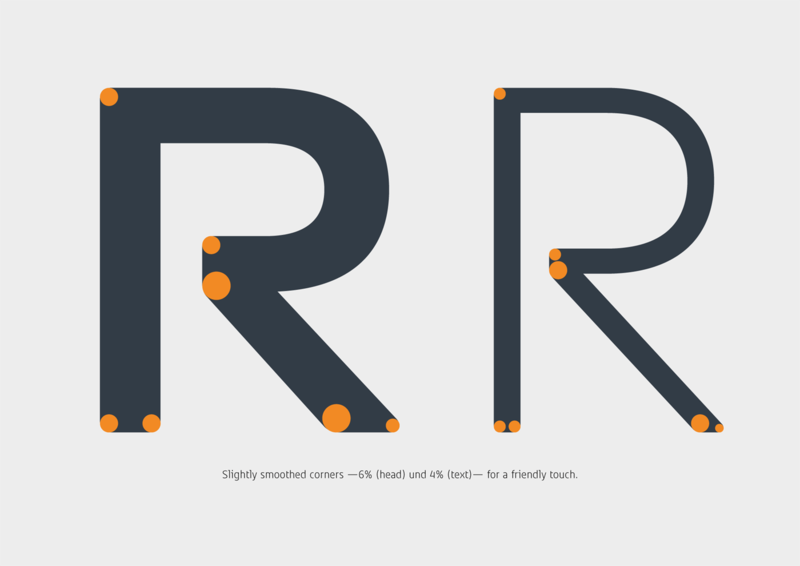 All in all, a very positive-looking typeface, both human and technical — We like it very much! 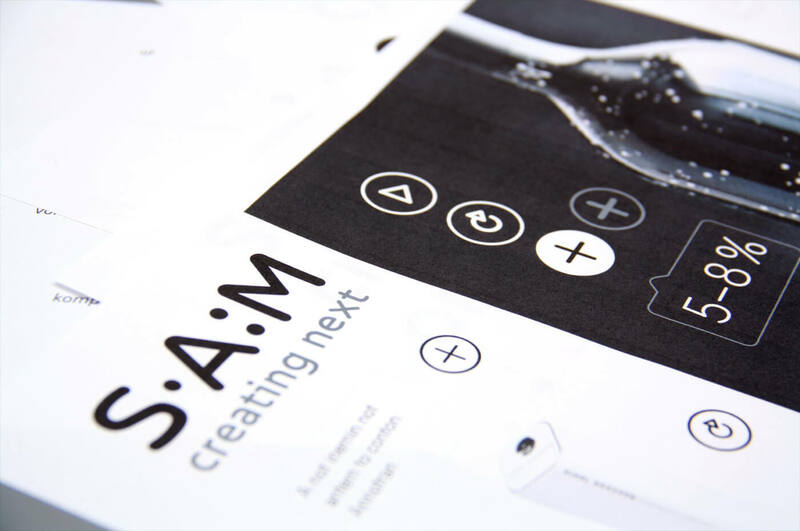 The design is unique as we are and the feeling of the technical is a special gimmick for us.